The Abu Dhabi Police have warned motorists in the Capital that those picking up passengers illegally will face a fine of Dh3,000. More than 650 privately owned vehicles ran 'illegal transportation' in the UAE Capital in three months. In October last year, hundreds of illegal taxis were seized by the Abu Dhabi Police, as part of a crackdown on unlicensed activities. Some of the drivers operating taxis may not hold licenses issued by the UAE authorities and may even be staying in the country illegally. The police have issued warnings against drivers operating private vehicles without a permit, adding that the penalty under the Federal Traffic Law includes a fine of Dh3,000, 24 traffic points, as well as the confiscation of the vehicle for 30 days. Brigadier Ibrahim Sultan Al Zaabi, director of the transport security department, said: "Illegal transportation of passengers effects the society. These are acts of offence and are a risk to the safety of passengers, particularly, if there is a car accident and the driver of the vehicle is unknown." The Abu Dhabi Police have recently posted several reminders about traffic rules, traffic safety and traffic law amendments on their social media platforms, the most popular of them being a reminder to use signals while changing lanes. "A fine of Dh400 for drivers who fail to use signal lights while changing the vehicle direction or making turns", the police said on its official Twitter handle. 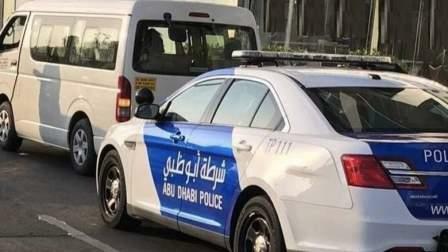 The Abu Dhabi Police earlier said that 10,766 drivers were given a fine of Dh400 from the period of July 1 to December 2017 for breaking the rule. The Abu Dhabi Police continue to raise awareness through their social media platforms, which aim to target all segments of the society, as well as awareness programmes and initiatives in schools, universities and other educational institutions. In July last year, the UAE's federal traffic law was amended, implementing new fines and regulations across the country.